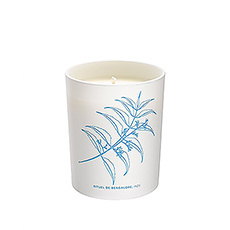 The ideal gift for her to let her enjoy some precious me-time. 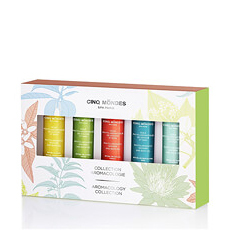 Cinq Mondes has developed a unique Collection presented in an elegant gift box containing two Fresh Aromatic Spays in a handy, travel-size format (4x25 mL). 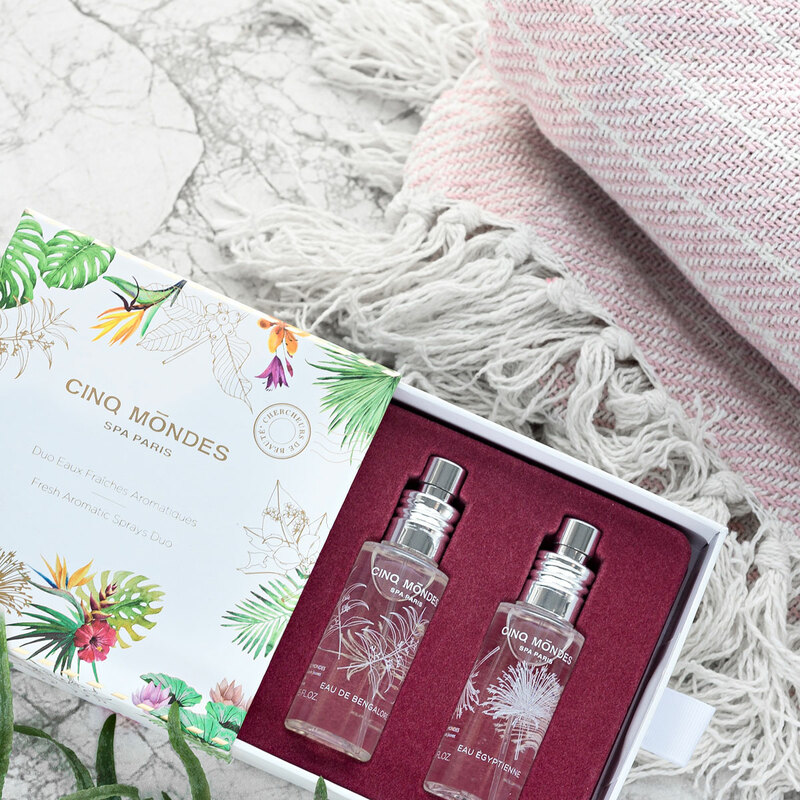 Each fresh spray is based on an original aromatic composition that has been orchestrated by a renowned perfume designer to take you on a remarkable sensorial journey. 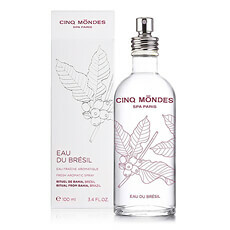 Spray a ﬁne mist over body, hair and pillow every day: Cinq Mondes’ Fresh Aromatic Sprays set the stage for wellbeing and comfort. Offer your friends and family a voyage around the world with fragrances from the most delightful Beauty Rituals of the World! 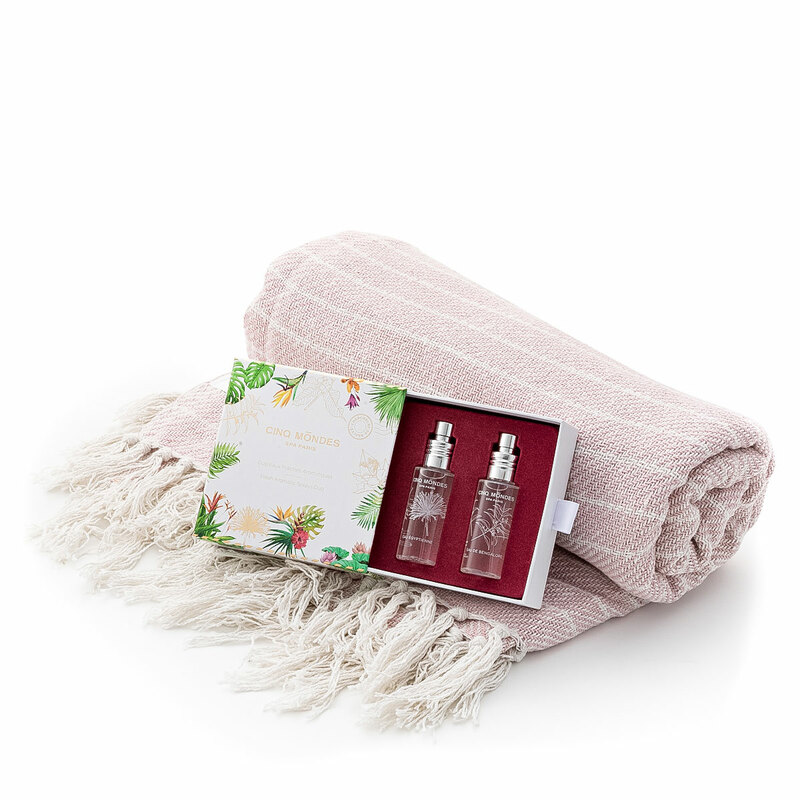 The aromatic sprays are paired with a lovely pink plaid throw blanket that's perfect for any interior.